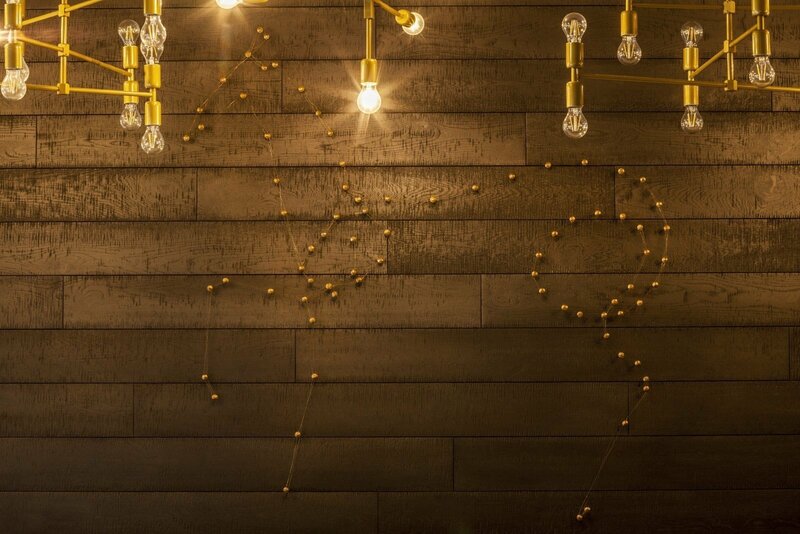 The hotel’s Lobby Bar is a perfect complement to our restaurants. It is a meeting place full of positive energy. You can enjoy there aromatic coffee and a wide selection of coffee drinks, teas, exquisite desserts and colourful cocktails. It also offers carefully selected wines and fine spirits. 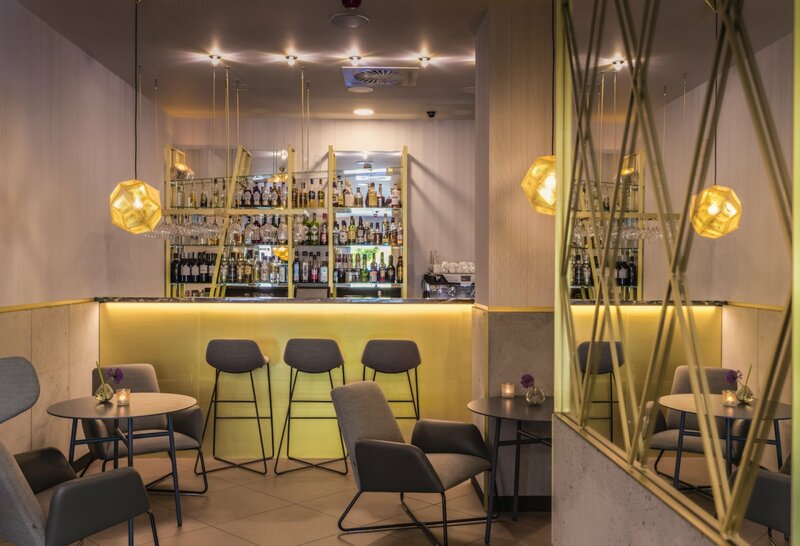 Nice club atmosphere, professional service, extraordinary and inspiring interior design will make your time spent at the Kossak Hotel even more enjoyable. Cafe Oranżeria Restaurant certainly deserves to be called the most unusual restaurant in Krakow. It is located on the roof of the Kossak Hotel. 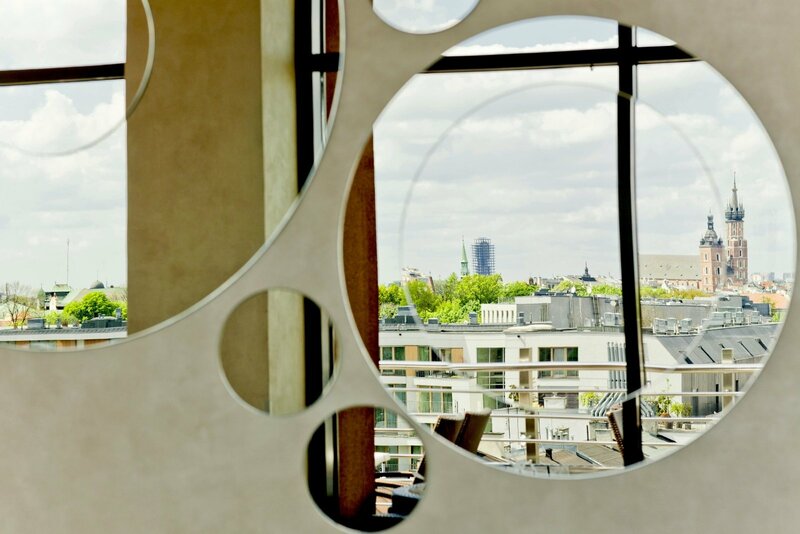 Its glazed interior allows you to enjoy a beautiful view of the Wawel Hill, the Old Town and the Vistula Boulevards. The restaurant is the only one in Krakow to offer such a view. From spring to autumn, the restaurant's open air terrace also allows guests to enjoy their dishes and unique atmosphere with a dash of sunlight. 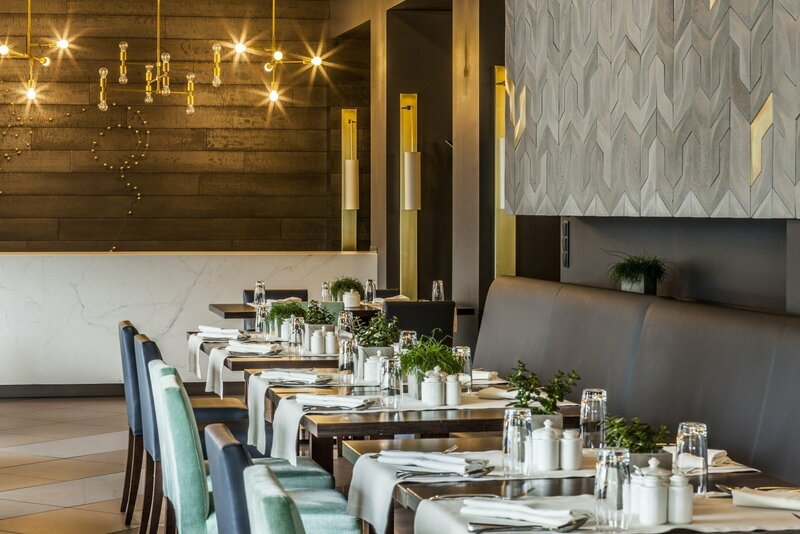 Prepared by our award-winning team of chefs, Cafe Oranżeria’s menu is based on inspirations derived from broadly understood European cuisine with a hint of fusion cuisine and seasonal dishes. Visit a new website of the Cafe Oranżeria Restaurant: www.cafeoranzeria.pl. The restaurant is great. My wife and I visit it at least once a month and even more often during the summer when you can sit on the terrace. 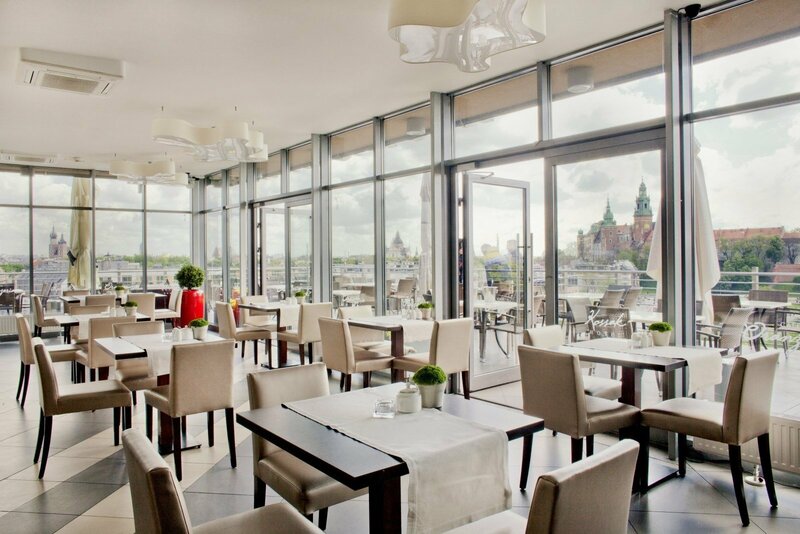 There are no other restaurants in Krakow offering such a beautiful view of the city. We highly recommend it. 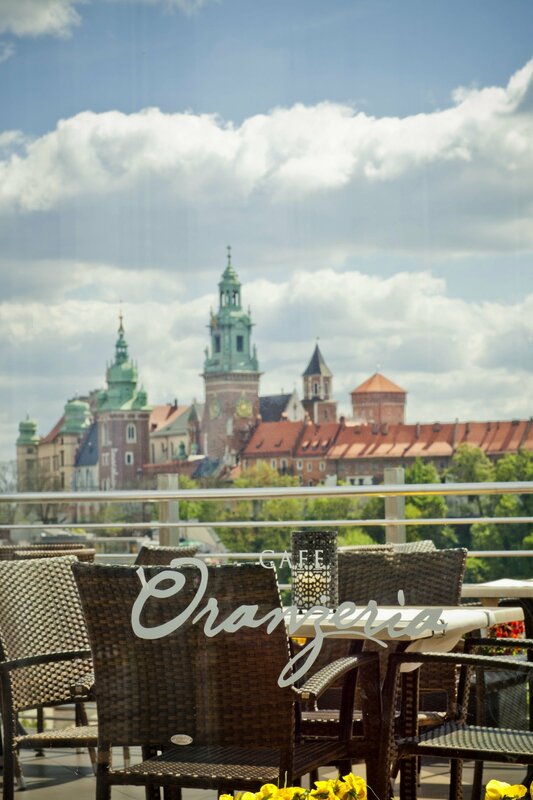 The most beautiful view of the city out of all restaurants in Krakow. I stay often in Krakow and I always try to find time to visit Percheron. 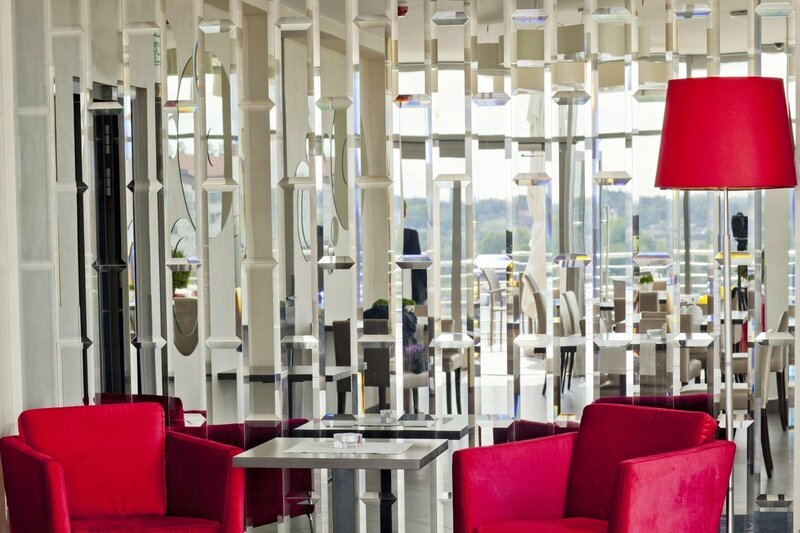 It is a perfect restaurant for both business and romantic meetings. Morning filled with aromatic coffee fragrance, fresh herbs at lunchtime and fancy culinary compositions in the evening together with a perfect wine pairing, intimate atmosphere and gentle music filling well-decorated interiors – that is what the Percheron Restaurant, i.e. our restaurant in Krakow, is known for. We invite you to the land of flavours and fragrances. Our culinary offer that is full of wonderful specialties will allow everyone to experience excellent cuisine. Our menu is mostly inspired by modern European and international cuisine variations. Percheron is also a perfect place for business meetings in Krakow. 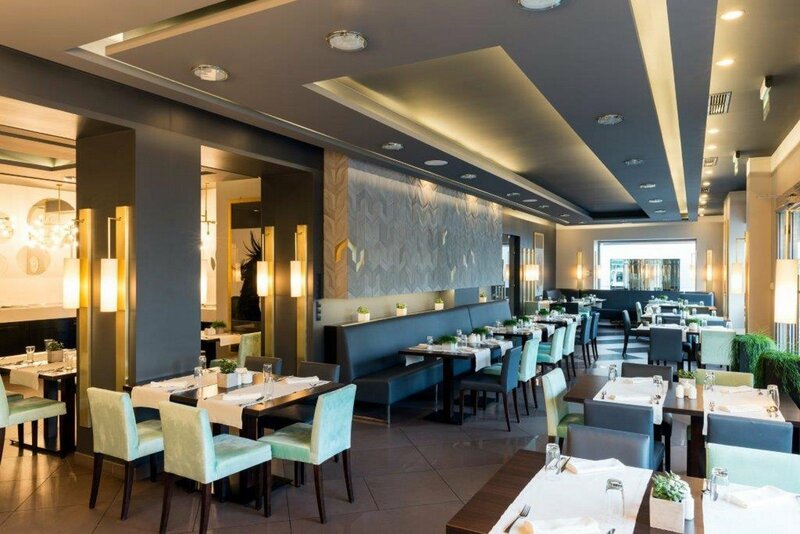 The restaurant will satisfy both those looking for a place to have a business lunch and connoisseurs who tend to celebrate enjoying excellent cuisine. Visit a new website of the Percheron Restaurant: www.percheron.pl. Great location, a beautiful view, brilliant interior design and unbelievably good food for sure. I recommend this restaurant and I will not resist to visit it once again, when I am back in Krakow. What a great restaurant! A friend of mine recommended it to me. When we were on our way to Zakopane, we stayed in Krakow and visited it. A beautiful view, very good food and friendly service. The restaurant is really worth visiting. It is important to start the day well. Therefore, it is crucial to have a nutritious breakfast – the most important meal during the day that gives us energy to achieve our goals. That is why we care so much about diversifying our menu and maintaining top-quality service. 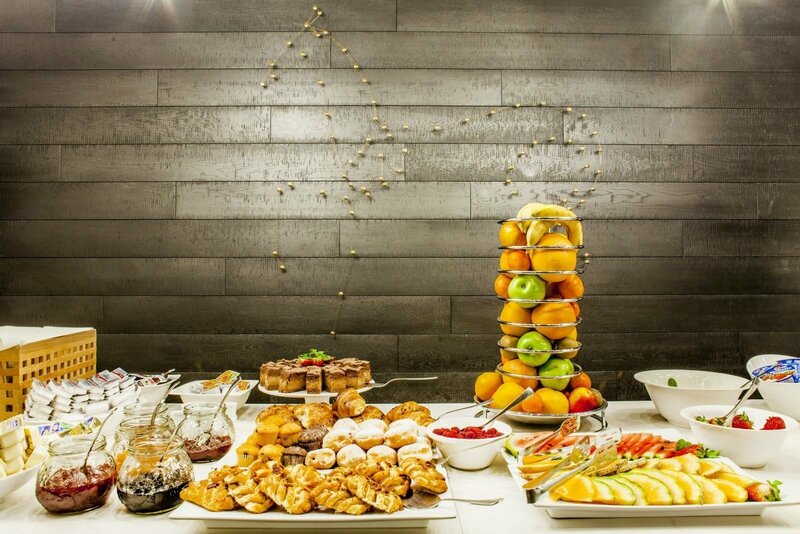 All of our guests are welcome to the Percheron Restaurant, where they can enjoy delicious breakfasts served as a buffet between 7.00 am and 10.00 am. Everyone will find something for yourself – appetising cold meats, cheese, dairy products, vegetables, fruit and sweets. We also offer hot and aromatic coffee or tea that will guarantee you energy all day long. For your special order, we will prepare scrambled eggs, omelettes and pancakes in several ways. 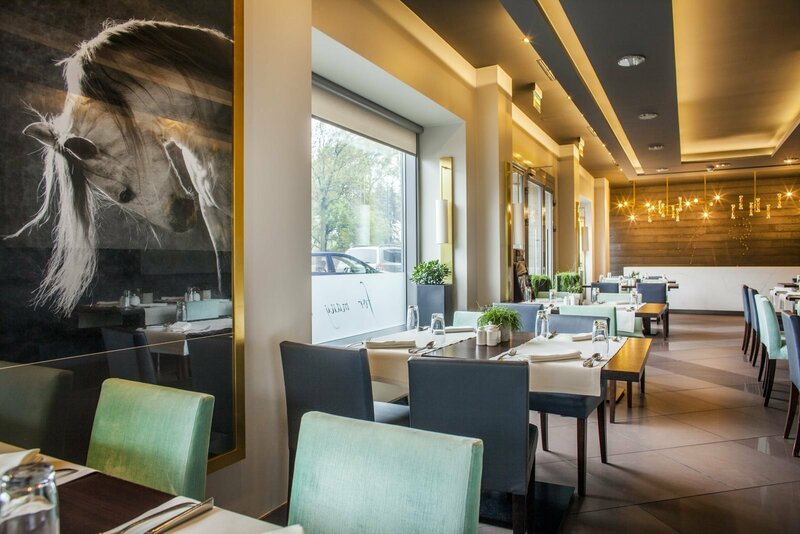 Be sure to visit our restaurants in Krakow! Once you taste our dishes, you will come back to us for sure.